I was going to say we’ve had a fairly chilled out week this last week, but actually thinking about it I don’t think we have! Thursday – Isla and I went to Odd’s Park Farm to meet up with some friends. I was meant to be going out with some Mamas from our village in the evening, but I cancelled at the last-minute as was feeling exhausted, and I had a clingy, teething monster. 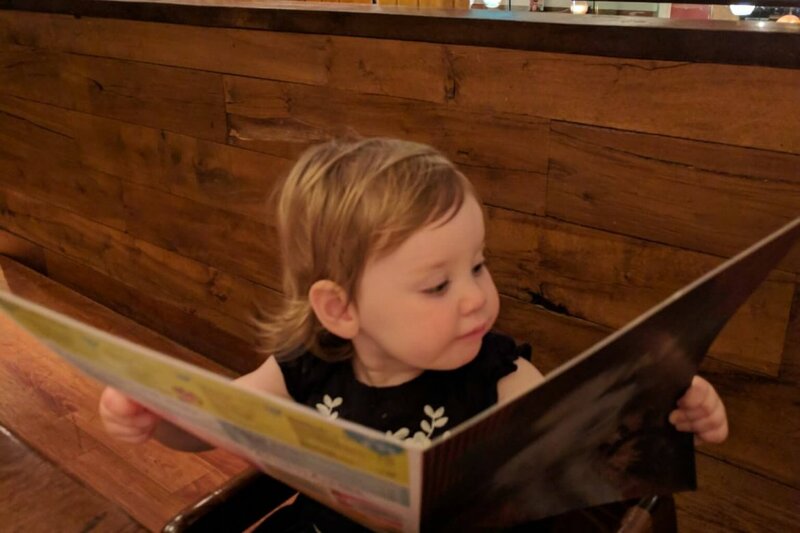 Saturday – Isla and I went out for brunch with friends, did a little bit of shopping, and then in the evening we had a friend’s 40th birthday party, where Isla spent all night dancing! Sunday – a visit to the garden centre, a few jobs round the house, and far too long trying to get a little girly to nap! 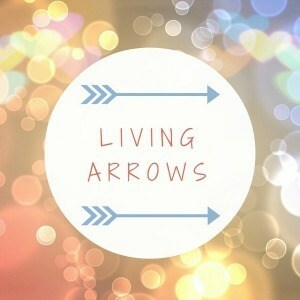 This weeks Living Arrows photo was taken (by Chris) when we went out for dinner at Nandos on Tuesday. 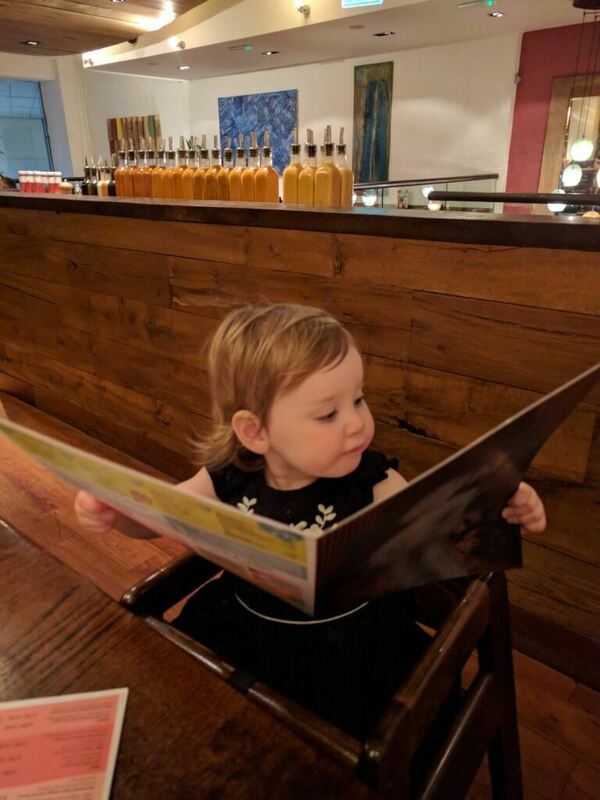 It just makes me smile every time I look at it, as it proper looks like Isla is reading the menu. She looks so so grown up, and it gives you a little glimpse of what she may be like when she’s older. I’m hoping this week will be a little bit more relaxed, though I’m not convinced it will be stress free. With a toddler that is teething and has a cold, we’re not getting much sleep at all. Night times are full of broken sleep, and nap times and bed times are just such a struggle at the moment. So please, send some nice thoughts our way, as well as tissues, orange juice….and gin! Gin makes everything better right? At least for mummies anyway!